Last Updated: March 31, 2016 | Subscribe to our weekly newsletter! So you’ve got the hot tub, your water is balanced and toasty warm, but something’s missing. You can’t quite put your finger on it, but you know you need something to complete your hot tub experience. Soaking in a hot tub is divine. 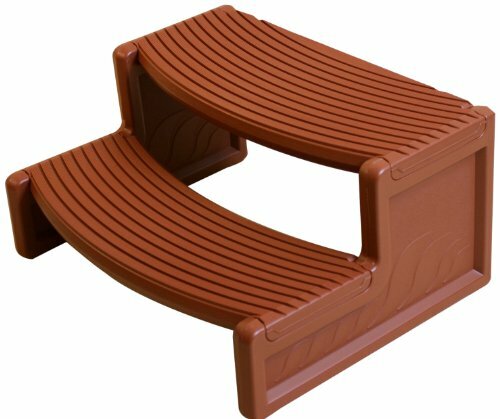 But you can improve your experience and create your very own paradise with some of these hot tub accessories. These accessories will make your hot tub like no other. You and your friends will marvel at the soaking experience in your spa. What is the one thing you wish you had on your spa? You guessed it. A cup holder. 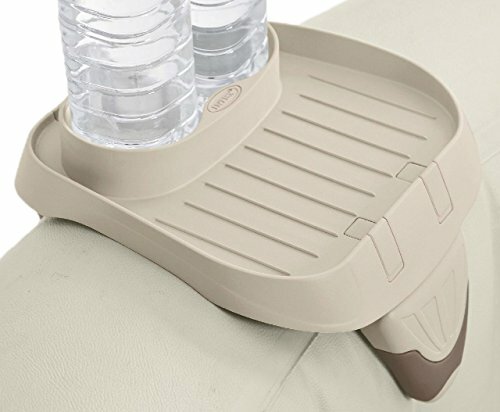 The PureSpa Cup Holder will give you the perfect place to store your drinks and snacks while you enjoy a soak. It’s disco time in your hot tub! 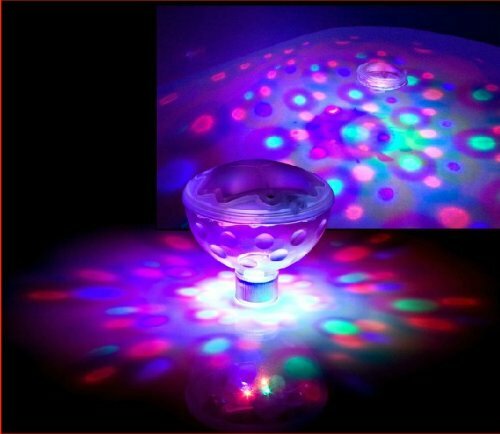 This floating light will add a bit of colored ambiance to your hot tub so you can dazzle your guests at your next party that features a dip in the hot tub. Hey, there is nothing wrong with enjoying a little something to eat and drink while you relax in a hot tub. 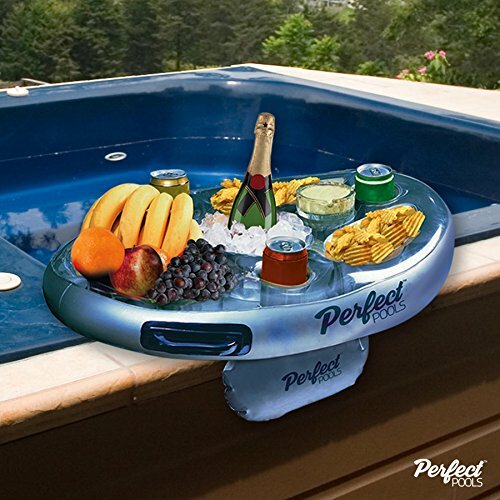 This hot tub bar refreshment float will easily attach to the side of your hot tub so you can serve food and drinks while you bathe in the warm waters. Aromatherapy is a great way to relax and unwind while in your hot tub. 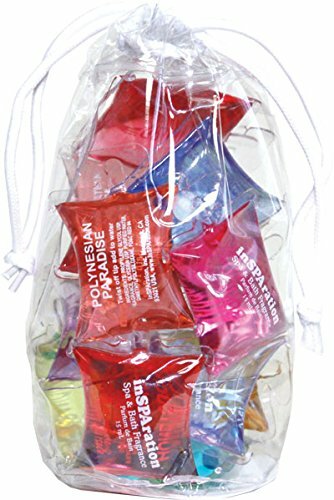 This gift package will give you all the aroma tools you need to mask any chemical spells and really relax in your spa. Maybe you want to recall those memories of your time at the beach. 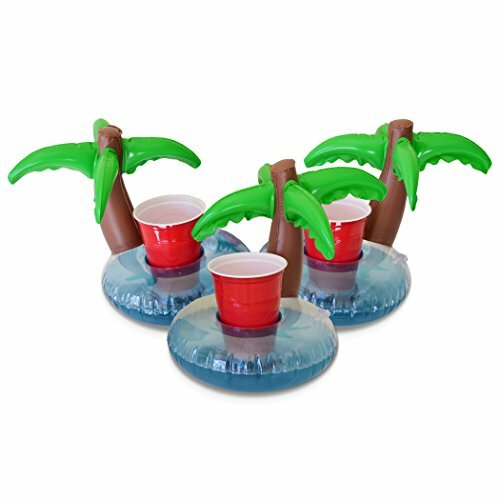 Now you can with the GoFloats Drink Holder that brings a few inflatable palm trees to your hot tub. If you really want to relax, your head needs attention, too. 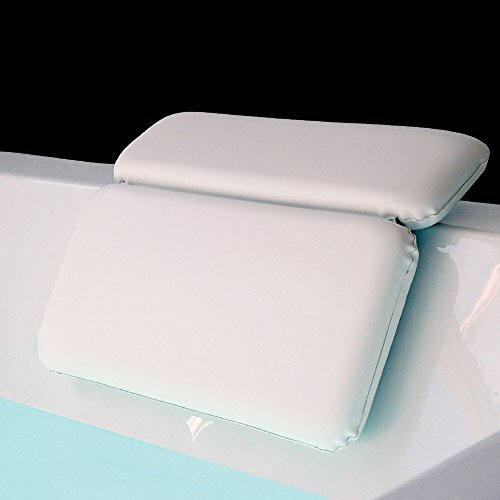 This non-slip pillow is the perfect solution so you can rest your head as you massage your muscles in your spa. 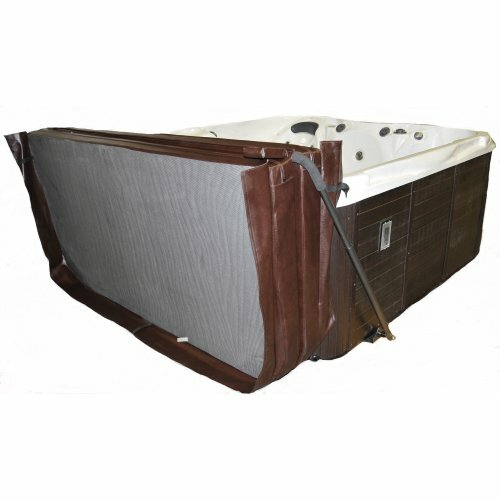 Taking your spa cover on and off is one of the most tedious parts of hot tub ownership. A lift cover can make that process so much easier as it helps make the opening and closing of your spa easy. 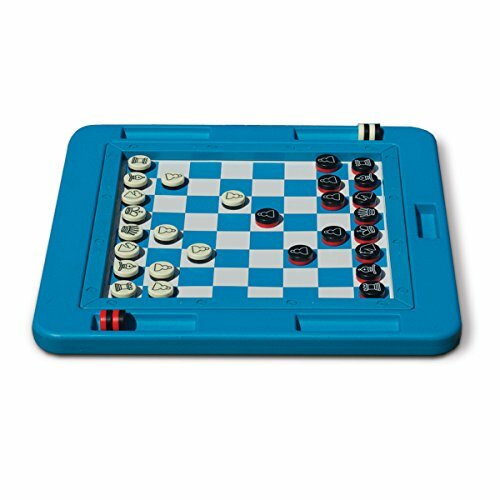 Another perfect option for entertaining, this multi-game from Swimline will give you hours of enjoyment when you enjoy your hot tub with company. 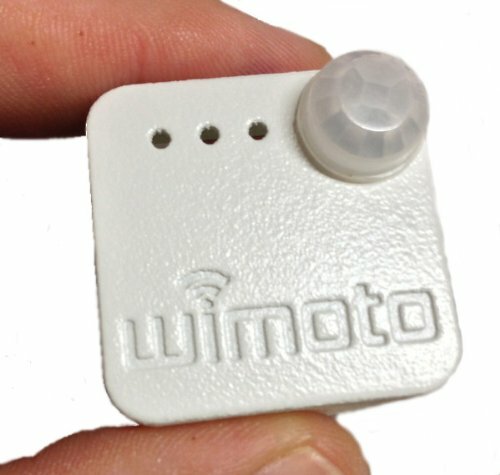 Monitor your water levels carefully with this new device so you can track and relay information straight to your smartphone. The system will even track your data so you can monitor your water level history. Who doesn’t love a good game of beer pong? Now, you can play it with your friends while you enjoy a nice warm soak. Be careful. 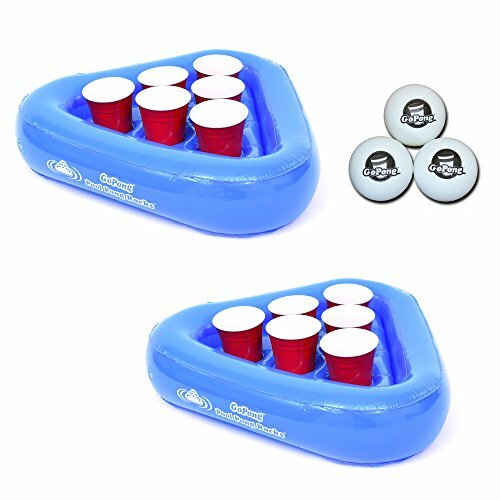 It may be more challenging as the floating beer pong moves in the water as you play. One of the handiest (actually, no hands are required) additions to your hot tub that you will make. Getting too much sun while you bathe? Instead of only bathing at night, try adding this umbrella to give you a little bit of shade while you soak. What is the worst part about a hot tub? Getting out, of course! After a long soak in those warm waters even a hot day will feel cold to you. 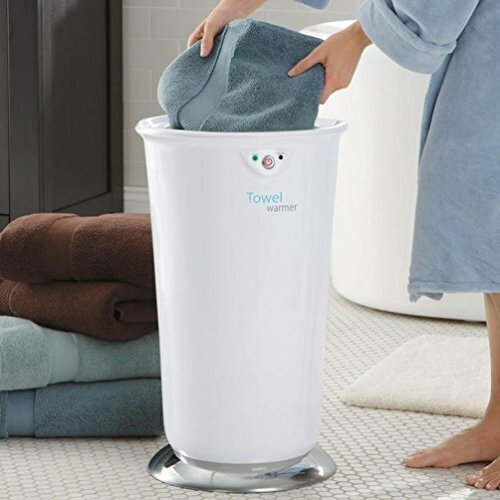 By adding this warmer, your towels can be pre-heated so they are much warmer for you to use when you are finished with your soak. As you can see, there are so many options that you can try to create a unique hot tub experience. If you have been searching for a way to improve your spa soaking sessions, one or all of these accessories will do the trick. 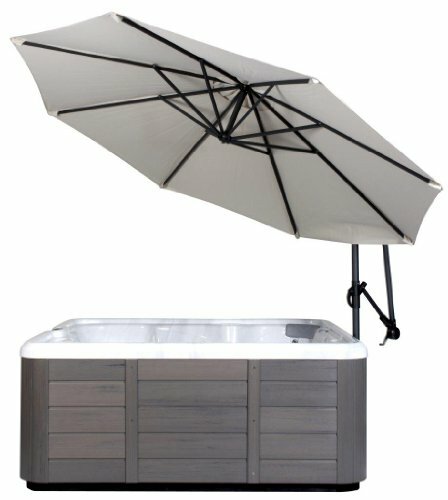 I would like to share what I learned and help you with your hot tub landscaping — whether you’re a newbie, on a budget, or both!